There were Datsuns in 1932? Yes, there were datsuns in 1932. They were micro cars; the 1930s equivalent to the modern Japanese kei car or the European city car. 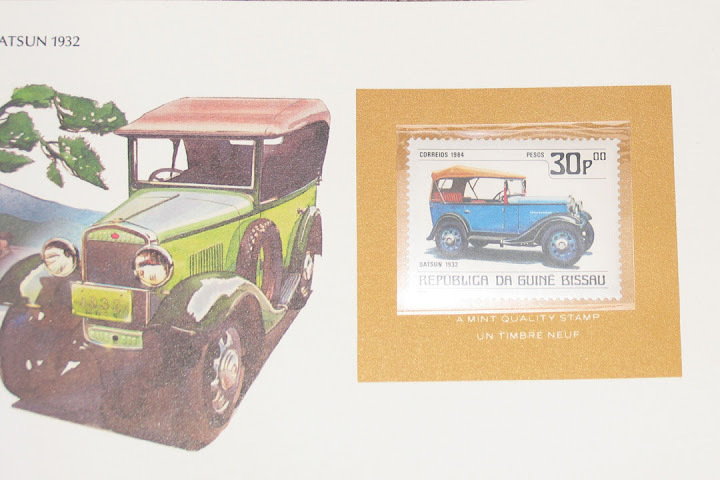 In the 1930s, Japan allowed cars with 500cc engines to be driven without a licence(JSAE, Nissan, Madely, Togo pg. 11). During this time the DAT company - a manufacturer of full-size cars and trucks - decided to produce a small vehicle for this micro-car market. They called the new model of car "datson"; i.e. the little son of the full sized DAT cars. The name was quickly changed to "datsun" (The Nissan Heritage Museum, source of this picture, has more details). DAT was bought out by Tobata Casting, which was part of Nippon Sangyo (a.k.a. "Nissan"), but they continued to call the small car "datsun". 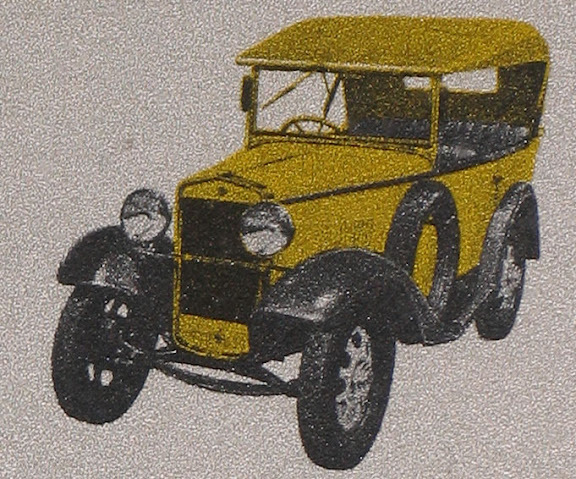 So what did the 1932 datsun look like? Roughly, like an Austin seven. Beyond that, the details seem to vary from car to car. It is possible that they were still coach built to customers' specifications back then. 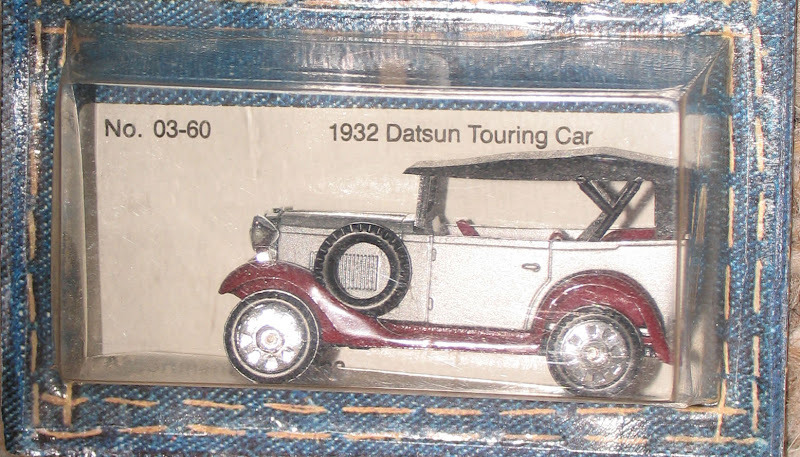 I'm basing my replica on the phaeton bodied 1932 datsun that is depicted in Datsun promotional literature, die cast toys, and stamps. The Japanese Society of Automotive Engineers describes this car as a 1932 Type 11. (It appears identical to the 1933 Type 12, differing only in the size of the engine.) This car has fenders with sides (i.e. reminiscent of a 1934 ford), a horizontal lip below the grill shell, and a rounded rear end...features I plan to include in my replica. 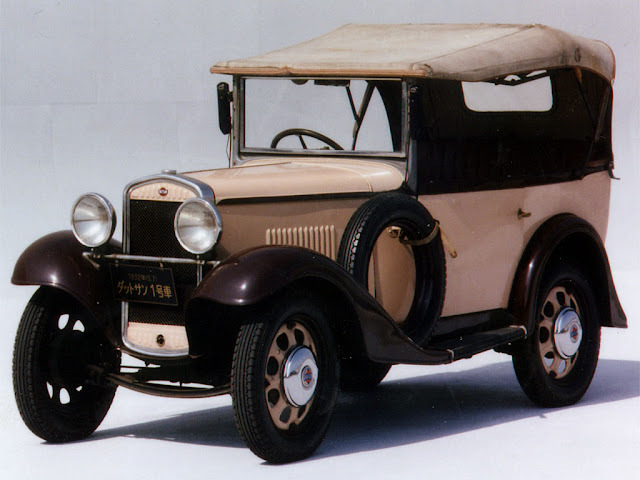 The Nissan Heritage Museum has a 1933 Datsun Type 12 Phaeton in the collection housed at their facility in Zama, Japan. Christopher Madeley of Chaucer College in Canterbury, UK has written a detailed literature review on the early Japanese automobile industry that was presented for the International and Japanese Studies Symposium. The topic of his paper was the relationship between Nissan and the British automobile industry. 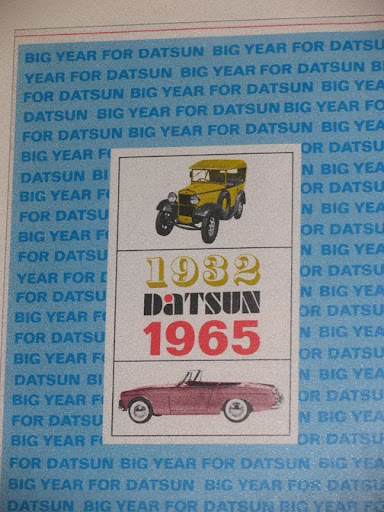 It is a wonderful source of information on the history of the datsuns in the early 1930s. A. H. Wilde, an engineer for Standard Motor Company, had a paper published in the proceedings of the World Engineering Conference that was held in Tokyo from October 25 to November 22 of 1929. Wilde spilled the beans in a paper named "The British Light Car"; i.e. it "included the maker's specification of the Austin Seven, and was plublished with a number of figures showing details of the Austin Seven chassis, engine, clutch, gearbox, rear axle, suspension, steering, and power output." (Madely, p.20) Masujiro Hashimoto (founder of Kaishinsha, the company that would become Nissan), had a copy of the proceedings....as did MANY other people. Adrian Room's Dictionary of Trade Name Origins says that Nissan began producing licenced Austin cars in 1934. The wikipedia article on the austin 7 says, "the 7 design as the basis for their original cars, though not under license." The source they reference is Rinsey Mills's 1996 book Original Austin Seven (ISBN 1-870979-68-0). http://www.ratdat.com/?p=35#more-35 - copies? Car imported to determine this now on display at the National Motor Museum at Beaulieu, Hampshire, UK. Madely has quotes on pages ### and #### from Sharratt, B. (1997) 'Putting the record straight', in Classic Car Weekly, 21 May 1997, Westerham, Kent: Kelsey Publishing Limited. Yes, I know that I should not quote a quote....I'm going to try to get an original copy of the work. Ken Togo of Musashi University discussed the early datsuns in his February, 2007 paper "Infant Industry Policy: A Case of Japanese Automobile Industry Before 1945" (paper available here). 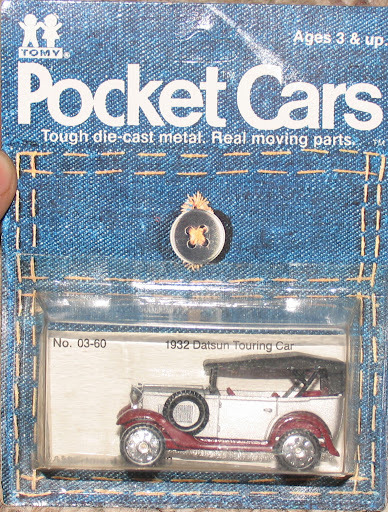 He says that the Japanese government didn't require a licence for cars with an engine displacement under 500 cc, so DAT motorcars began marketing mini-cars (datson/datsun) in August of 1931, and priced them below the cost of an Austin Seven. His source for this information was "Nissan Jidosha Sanjyuunenshi" (Thirty years history of Nissan Motor), a document published by Nissan in 1965.